^ The average commercial electricity rate in Union, AL is 10.86¢/kWh. 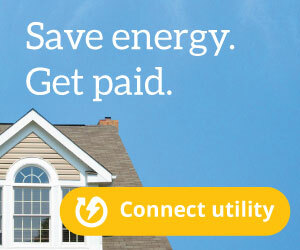 ^ The average residential electricity rate in Union, AL is 10.68¢/kWh. ^ The average industrial electricity rate in Union, AL is 8.76¢/kWh. The average commercial electricity rate in Union is 10.86¢/kWh. This average (commercial) electricity rate in Union is 2.16% greater than the Alabama average rate of 10.63¢/kWh. The average (commercial) electricity rate in Union is 7.63% greater than the national average rate of 10.09¢/kWh. Commercial rates in the U.S. range from 6.86¢/kWh to 34.88¢/kWh. The average residential electricity rate in Union is 10.68¢/kWh. This average (residential) electricity rate in Union is 6.32% less than the Alabama average rate of 11.4¢/kWh. The average (residential) electricity rate in Union is 10.1% less than the national average rate of 11.88¢/kWh. Residential rates in the U.S. range from 8.37¢/kWh to 37.34¢/kWh. The average industrial electricity rate in Union is 8.76¢/kWh. This average (industrial) electricity rate in Union is 40.84% greater than the Alabama average rate of 6.22¢/kWh. The average (industrial) electricity rate in Union is 31.33% greater than the national average rate of 6.67¢/kWh. Industrial rates in the U.S. range from 4.13¢/kWh to 30.82¢/kWh. The average commercial electricity rate in Alabama is 10.63¢/kWh, which ranks 14th in the nation and is 5.35% greater than the national average rate of 10.09¢/kWh. Commercial electricity consumption in Alabama averages 5,083 kWh/month, which ranks 37th in the nation and is 18.52% less than the national average of 6,238 kWh/month. The average monthly commercial electricity bill in Alabama is $541, which ranks 25th in the nation and is 13.99% less than the national average of $629. Residential electricity consumption in Alabama averages 1,187 kWh/month, which ranks 4th in the nation and is 31.45% greater than the national average of 903 kWh/month. The average monthly residential electricity bill in Alabama is $135, which ranks 2nd in the nation and is 26.17% greater than the national average of $107 per month. The average industrial electricity rate in Alabama is 6.22¢/kWh, which ranks 33rd in the nation and is 6.75% less than the national average rate of 6.67¢/kWh. Industrial electricity consumption in Alabama averages 392,382 kWh/month, which ranks 9th in the nation and is 249.85% greater than the national average of 112,158 kWh/month. The average monthly industrial electricity bill in Alabama is $24,425, which ranks 9th in the nation and is 226.41% greater than the national average of $7,483. How Does Your Electricity Rate Compare? Sorry, data is not currently available. Electric bills: The average residential electricity bill in Alabama is about $135/month, ranking 2nd in the U.S. and 26.17% greater than the national average of $107. 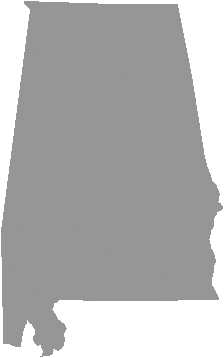 Union is a town located in Greene County in the state of Alabama, and has a population of approximately 237. For more information about Union electricity, or for additional resources regarding electricity & utilities in your state, visit the Energy Information Administration. The U.S. produces nearly half of its electricity from coal. In China, the percenttage is nearly three-fourths. Electricity Local brings local data and statistics to the forefront to help consumers get a better understanding about the way that electricity is provided to them. With the help of open data, consumers can make wiser utility choices. Are You Ready to Explore Solar Energy Options? 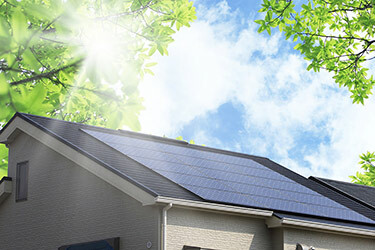 Take the first step toward powering your home with solar energy. Learn about solar energy in your community, with no obligation.